Hello! Welcome to another Funtastic Friday Linky Party! I’m so happy you’re here! In case you don’t know what a linky party is, you are about to find out and have some fun~scroll through the post and click on the thumbnail photos to check out blog posts from some of the best creatives in the blogging biz! We are excited to have two new co-hosts this week! Please join us in welcoming Donella of Glue Sticks & Gumdrops and Liz of Reflecting Beautiful. We’re glad they’ve joined our party. Please check out their social media links below! Now then-let’s get started with Funtastic Friday Linky Party 108! 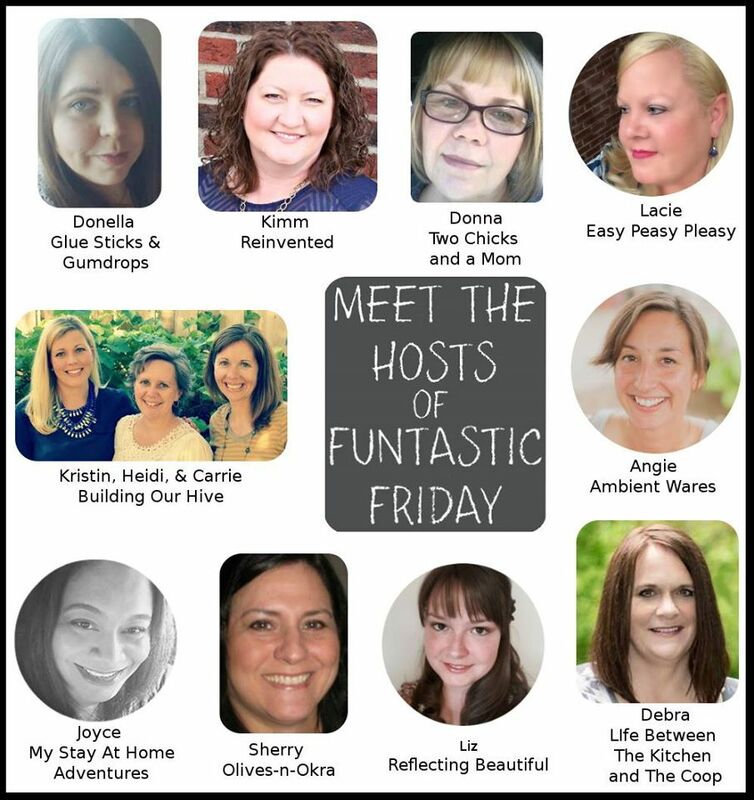 Help grow the Funtastic Friday linky party. Tweet about the party, please! Disclaimer: By submitting a link to this blog hop, you are giving me permission to share and/or feature your blog post and image on social media and on my blog, Life Between the Kitchen and the Coop. All links shared will either link back to the blog hop (linky party) or to your blog. Follow the hosts on social media.